Linda Mangram was born in Opelika, Alabama and lived there most of her life. She is married with one child and two grandchildren. She worked for BellSouth/AT&T for forty years and has been retired for seven. This is her second book of poetry and has submitted her first suspense novel for publication. Linda has always loved to read. Her earliest childhood memories were of going to the public library with her mother. She would come out of the children's section with as many books as they would allow her to take home. In her adult life she became a care giver for her mother, who experienced both breast and colon cancer. In 2012 she faced her own battle with colon cancer. In 2013 she faced a recurrence along with six months of chemo. In December of 2018 she marked her fifth year as a cancer survivor. 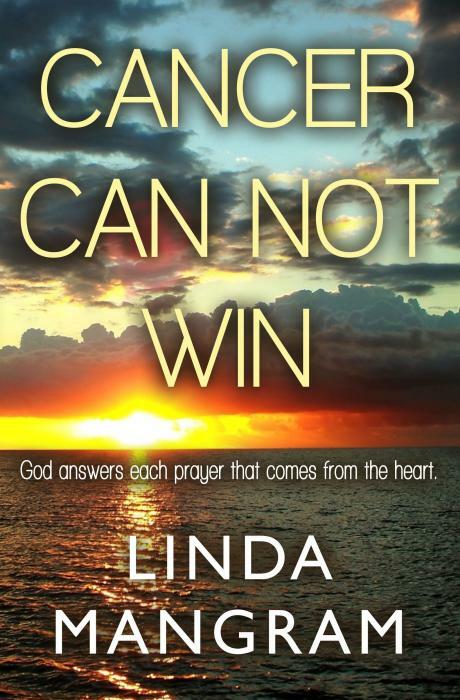 ‘We all know cancer causes incredible grief. Of all the emotions, that one is probably chief. And we know grief passes through many stages. A unique, poetic outlook on experiences with cancer. From the suspicion to the diagnosis, from the treatments to the side effects, from the personal experience to experiences with loved ones, this book deals with the vast array of emotions which engulf you during this ordeal; denial, anger, fear, acceptance, grief. It educates you with ways to handle these emotions, how to find help, and how to help others. The underlying theme of the importance of faith and putting your trust in God is key. ‘I know to doubt You is probably wrong. ‘Thank You Lord for the peace I now feel.